the Assassin’s Creed movie trailer .. 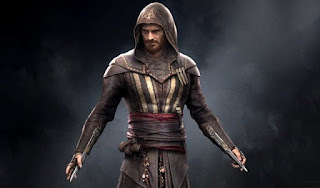 In the details The first trailer for the Assassin’s Creed movie, based upon Ubisoft’s hit game franchise, premiered on Jimmy Kimmel’s show last night, and it’s full of good stuff: shadowy killers, historical Spanish settings and a dark reimagining of the Animus VR machine. It also features Michael Fassbender asking all the important questions about how he found himself donning a cloak and training to become the very best assassin in history. No Comment to " the Assassin’s Creed movie trailer "